The first thing we should remind ourselves of is that dating and marriage are worlds apart. The rules of marriage have nothing to do with the rule of dating. There’s some similarities here and there, but overall dating and marriage are not even similar. It’s kind of like comparing youth baseball to professional football. Sure, they are both sports, but the stakes are much higher in one and rules are completely different. While Christian dating can be really exciting, people end up hurting themselves when they start acting like husbands and wives when in reality they are boyfriends and girlfriends, which is not even a title mentioned in Scripture. Christian dating is a means to end. It is meant to be an intentional season of gauging whether or not a guy and girl want to become a husband and wife. Once this guy and girl know they do not want to get married, they should breakup. Once they know they do want to get married, they should get married. Dating should not be seen as an end goal itself. Dating must have a progressive purpose. It’s not meant to be a place of arrival. It should always be a short-term process that has an intentional function – figuring out if two people should get married or not. A Christian wife cannot be forced to respect her husband’s leadership. She must choose to follow him. She must choose to allow him to lead. A wife should only make this sacrifice in her life when a man has earned this right of her allegiance. When does a man deserve this type of devotion? When he gives an equal level of devotion. In other words, a woman should not follow the leadership of a man who has not committed to be there for the rest of her life. She should not allow any man to get the privileges of a husband without also taking on the responsibility of a husband. The leadership of a husband is not to be a one-sided affair where the man uses it to his own advantage. While a wife is called to submit to her husband, a husband is called to lay down his life for his wife in sacrificial service, “Husbands, love your wives, as Christ loved the church and gave himself up for her” (Ephesians 5:25). Until a man is prepared to commit in marriage and lay down his life for the woman, the woman should not bless this man with the benefits of marriage. When the commitment comes, the right to lead will come. Until that time, a boyfriend should not pretend to have something he doesn’t deserve. Just as a Christian wife cannot be forced to submit to her husband and follow his leadership, a Christian husband cannot be forced to lead his wife by taking the utmost responsibility for her wellbeing. While a wife is called to follow her husband, a husband is called to completely take care of his wife. He doesn’t get to lead and then tell his wife to take care of her own needs. With the role of leadership comes the responsibility of providing, protecting, and cherishing his wife in a special way. In short, a boyfriend should not offer this type of sacrifice because his girlfriend has not earned the right to receive that type of care. If she wants her boyfriend to treat her like his wife, she needs to become his wife so she can commit to him. 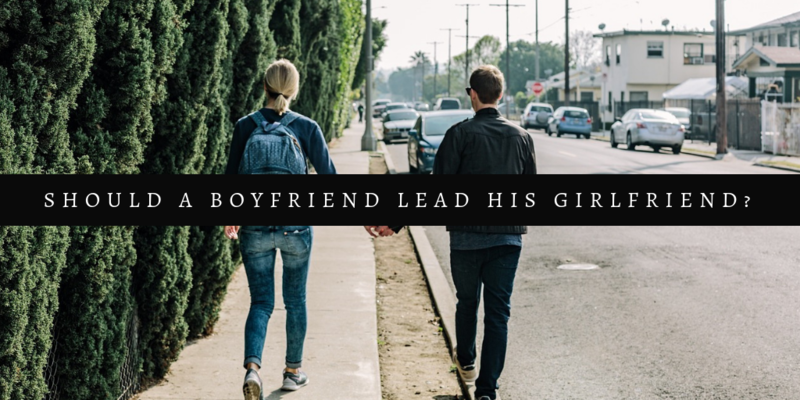 She should not expect him to take on the responsibility of taking care of her if she is not prepared to respect and support his leadership as God directs to happen in Christian marriage (Ephesians 5:22-33). Marriage comes with responsibilities. The word “responsibility” has been tainted with all kinds of negative connotations. Responsibility in marriage, however, should never be seen as a burden but as a blessing. A husband and wife are not “forced” to prioritize each other; rather they “get to” prioritize one another. It is their joy to commit to the other person. This commitment and responsibility is not present in dating. God does not require a boyfriend to never leave his girlfriend. God does not require a girlfriend to stay with her boyfriend even when she is hurt by his behavior. In short, a boyfriend and girlfriend are not biblically responsible for one another. So what should a Christian boyfriend and girlfriend focus on in dating? I think it is far more biblical to emphasize respect in Christian dating rather than responsibility. I mean “respect” in its verb form rather than its noun form. In the noun form respect means you admire someone and look up to him or her. In the verb form it means you submit to their personal boundaries and what they have authority over in their life. So rather than taking responsibility for the spiritual development of his girlfriend, a boyfriend should respect his girlfriend need for spiritual development. He shouldn’t lead her in this area but he should support her development and encourage her. He’s not taking responsibility like a husband but he is respecting this important area of her life. In summary, a boyfriend and girlfriend should not pretend to be husband and wife. They should not take on the responsibilities of marriage like a husband leading his wife. So rather than a boyfriend trying to lead his girlfriend, he should rather focus on respecting his girlfriend. 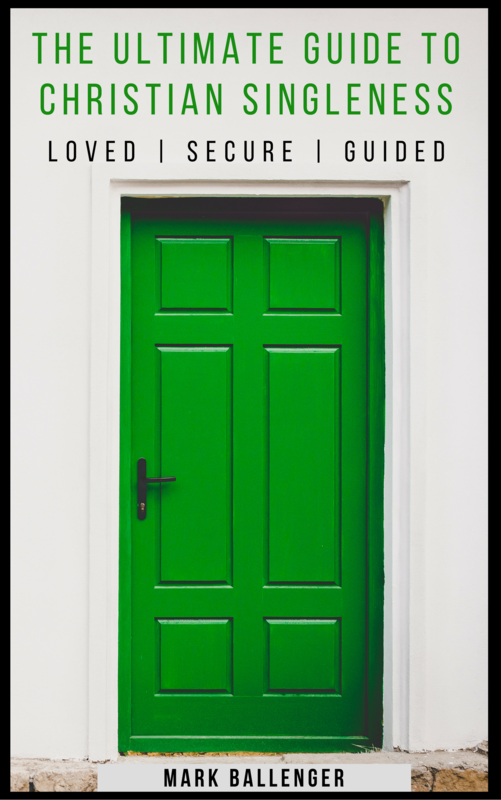 He can show his ability to lead in marriage by showing his ability to respect her in dating.